ACC Limited is India's foremost manufacturer of cement and is also the ready- mixed concrete supplier with a countrywide network of factories and sales offices. The organization was established in the year 1936. ACC is acknowledged as the pioneer and trendsetter in most of the cement and concrete technology in India. The organization is among the first companies in India to have included environmenatal protection as a corporate commitment. ACC has won regularly accolades for best practices in environment management at its plants and mines, and for demonstrating good corporate citizenship. The quality of its products and customer services make ACC the most preferred brand in the Indian cement industry. ACC Limited is part of the worldwide Holcim Group. It was formally established on August 1, 1936. Sadly, F E Dinshaw, the man recognized as the founder of ACC, died in January 1936 which was just months before his dream could be realized. ACC was formed in the year 1936 where all the ten existing cement companies came together under one umbrella in a historic merger - the country's first notable merger at a time when the term mergers and acquisitions was not even heard of. The history of ACC spans a wide canvas beginning with the lonely struggle of its pioneer F. E. Dinshaw and couple of other Indian entrepreneurs who founded the Indian cement industry. Their efforts to face competition for survival in a small but aggressive market mingled with the stirring of a country's nationalist pride that touched all walks of life - including trade, commerce and business. The first success came in when the move towards cooperation in the country's young cement industry and culminated in the historic merger of ten companies to form a cement giant. These companies belonged to four prominent business groups - Tatas, Khataus, Killick Nixon and F. E. Dinshaw groups. ACC stands out as the most unique and successful merger in Indian business history, in which the distinct identities of the constituent companies were melted into a new cohesive organization - one that has survived and retained its position of leadership in industry. In a sense, the formation of ACC represents a quest for the synergy of good business practices, values and shared objectives. The use of the plural in ACC's original name, The Associated Cement Companies Limited, itself indicated the company's origins from a merger. Many years later, some of the stockbrokers in the country's leading stock exchanges continued to refer to this company simply as 'The Merger'. 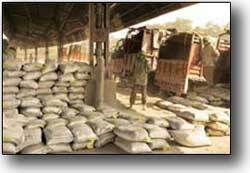 ACC Limited is India's foremost manufacturer of cement and concrete. ACC's operations are mostly spread throughout the country with 17 modern cement factories, more than 40 Ready mix concrete plants, 21 sales offices, and several zonal offices. It has a workforce of about 9,000 persons and also the countrywide distribution network of over 9,000 dealers. Since its inception in the year 1936, the company has been a trendsetter and also is acting as an important benchmark for the cement industry in many areas of cement and concrete technology. ACC has a unique track record which is innovative research, product development and specialized consultancy services. The company has various manufacturing units which are backed by a central technology support services centre - the only one of its kind in the Indian cement industry. ACC has rich experience in mining, it has been the largest user of limestone. As the largest cement producer in India, it is one of the biggest customers of the domestic coal industry, of Indian Railways, and a considerable user of the country's road transport network services for inward and outward movement of materials and products. Among the first companies in India to include commitment to environmental protection as one of its corporate objectives, the company installed sophisticated pollution control equipment as far back as 1966, long before pollution control laws came into existence. 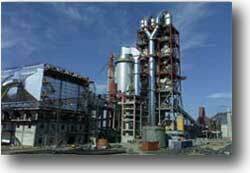 Today each of its cement plants have state-of-the art pollution control equipment and devices. ACC plants, mines and townships visibly demonstrate successful endeavours in quarry rehabilitation, water management techniques and 'greening' activities. The company actively promotes the use of alternative fuels and raw materials and offers total solutions for waste management including testing, suggestions for reuse, recycling and co-processing. ACC has taken purposeful steps in knowledge building as it runs two institutes that offer professional technical courses for engineering graduates and diploma holders which are relevant to manufacturing sectors such as cement. The main beneficiaries are youth from remote and backward areas of the country. ACC has made significant contributions to the nation building process by the way of providing quality products, services and sharing expertise. It is mostly for the commitment to sustainable development, its high ethical standards in business dealings and its on-going efforts in community welfare programmes especially have won it acclaim as a responsible corporate citizen. 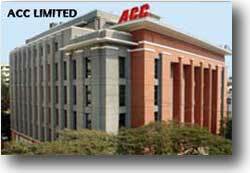 ACC's brand name is synonymous with cement and enjoys a high level of equity in the Indian market. It is the only cement company that figures in the list of Consumer Super Brands of India. The importance of Corporate Governance has always been recognised in the organization. Much before Corporate Governance which became applicable and mandatory for listed companies in the country, ACC had systems in place for effective strategic planning and processes, risk management, human resources development and succession planning. The Audit Committee in ACC was constituted as far back as in the year 1986. The Shareholders-Investors Grievance Committee was formed way back in the year 1962 and the Compensation Committee was convened since the year 1993. The Company's core values are based on integrity, respect for the law and strict compliance thereof, emphasis on product quality and a caring spirit. Corporate Governance therefore in ACC is a way of life. ACC is a professionally managed Company with majority of its Directors being Independent Directors. The Board of Directors has always consisted of persons who are professionals in their respective fields and with unquestionable integrity and reputation. The role, responsibility and also accountability of the Board of Directors are clearly defined. Members of the Board have full freedom to express their views on matters placed before them for deliberation and consideration. It is the continuous endeavour of the Board of Directors to achieve the highest standards of Corporate Governance through the adoption of a strategic planning process, succession planning for attracting, motivating and energizing human resources, identification of major risks and the way and means to manage such risks, an effective communication policy and integrity of Company's internal control systems. The Board of Directors are also constantly looking at ways and means to ensure that the most effective use is made of the scarce resources at its disposal and that the management and employees have the freedom to take the Company forward within the framework of effective accountability. As part of its pledge to support the effort to help reduce the carbon footprint of our Country, the company has circulated an appeal to its shareholders by agreeing to receive documents such as Annual Reports and other related details like Notices of General Meetings, Postal Ballot Notices, Intimation of ECS credits by electronic mail instead of by physical copy. The Ministry of Corporate Affairs has in its Green Initiative, permitted compliances by Companies by sending documents by e-mail. Asia Pacific Entrepreneurship Award in which two categories, Green Leadership and Community Engagement by Enterprise Asia. Indira Priyadarshini Vrikshamitra Award - which was given by The Ministry of Environment and Forests for "extraordinary work" carried out in the area of afforestation. Subh Karan Sarawagi Environment Award - by The Federation of Indian Mineral Industries for environment protection measures. Drona Trophy - By Indian Bureau Of Mines for extraordinary efforts in protection of Environment and mineral conservation in the large mechanized mines sector. FIMI National Award - for valuable contribution in Mining activities from the Federation of Indian Mineral Industry under the Ministry of Coal. Rajya Sthariya Paryavaran Puraskar - for outstanding work in Environmental Protection and Environment Performance by the Madhya Pradesh Pollution Control Board. National Award for Fly Ash Utilisation - by Ministry of Power, Ministry of Environment & Forests and Dept of Science & Technology, Govt of India - for manufacture of Portland Pozzolana Cement. Today the organization defines Corporate Social Responsibility as the way a company balances its economic, social and environmental objectives while addressing stakeholder expectations and enhancing shareholder value. But ACC has undertaken many social volunteering practices almost from its inception, long before the term corporate social responsibility was coined. The company's earliest initiatives done in the community development date back to the 1940's in a village on the outskirts of Mumbai while the first formal Village Welfare Scheme was launched in 1952. The community which is living around many of its factories comprises the weakest sections of rural and tribal India with no access to basic amenities.